If you're going to day trade—and it's very risky to do so—you must abide by the rules, particularly those that deal with margin. Margin rules apply to any "pattern day trader," which FINRA rules define as any customer who executes four or more "day trades" within five business days, provided that the number of day trades represents more than six percent of the customer's total trades in the margin account for that same five-business-day period. Who determines if I'm a "pattern day trader"? Short answer: the firm you're working with, which uses FINRA rules and Federal Reserve rules related to margin (known as Reg T) as their guide. That's why customers should contact their brokerage firms to determine whether the term "pattern day trader" applies. 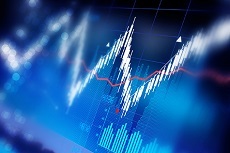 As FINRA notes in guidance to investors, a broker-dealer may also designate a customer as a pattern day trader if it "knows or has a reasonable basis to believe" that a customer will engage in pattern day trading. For example, if a customer's broker-dealer provided day trading training to a customer before opening the account, the broker-dealer could designate that customer as a pattern day trader. What is a "day trade"? FINRA rules define a day trade as the purchase and sale, or the sale and purchase, of the same security on the same day in a margin account. This definition encompasses any security, including options. Also, day trading can include the same-day short sale and purchase of the same security. There are exceptions. For example, if you buy a long position in a security, hold it overnight and sell the next day, you are not day-trading in that security. It's a good idea to consult with your firm about its day trading policies before you start to day trade. What are the margin rules that apply? If your securities firm identifies you as a pattern day trader, you must maintain minimum equity of $25,000 on any day you trade. The required minimum equity must be in the account prior to any day-trading activities. If the account falls below the $25,000 requirement, the pattern day trader will not be permitted to day trade until the account is restored to the $25,000 minimum equity level. Rules permit a pattern day trader to trade up to four times the "maintenance margin excess" (funds that can be used to purchase a new position or increase an existing position) in the account as of the close of business of the previous day. If you exceed the day-trading buying power limitation, the firm will issue a day-trading margin call. You will then have, at most, five business days to deposit funds to meet this day-trading margin call. Until the margin call is met, the day-trading account will be restricted to day-trading buying power of only two times maintenance margin excess based on the customer's daily total trading commitment. If the day-trading margin call is not met by the fifth business day, the account will be further restricted to trading only on a cash-available basis for 90 days or until the call is met. In addition, the rules require that any funds used to meet the day-trading minimum equity requirement or to meet any day-trading margin calls remain in the pattern day trader's account for two business days following the close of business on any day when the deposit is required. The rules also prohibit the use of cross-guarantees to meet any of the day-trading margin requirements. Does the margin rule apply to day-trading options? Yes. The day-trading margin rule applies to day trading in any security, including options. Would I still be considered a pattern day trader if I engage in four or more day trades in one week, then refrain from day trading the next week? In general, once your account has been coded as a pattern day trader, the firm will continue to regard you as a pattern day trader even if you do not day trade for a five-day period. This is because the firm will have a "reasonable belief" that you are a pattern day trader based on your prior trading activities. However, it is possible that a customer will decide to stop day trading. You should contact your firm if you have decided to reduce or cease your day-trading activities to discuss the appropriate coding of your account. Does the $25,000 minimum equity requirement have to be 100 percent cash, or could it be a combination of cash and securities? You can meet the $25,000 minimum equity requirement with a combination of cash and eligible securities. Can I cross-guarantee my accounts to meet the minimum equity requirement? No, you can't use a cross-guarantee to meet any of the day-trading margin requirements. Each day-trading account is required to meet the minimum equity requirement independently, using only the financial resources available in the account. What happens if the equity in my account falls below the minimum equity requirement? If the account falls below the $25,000 requirement, you will not be permitted to day trade until you deposit cash or securities in the account to restore the account to the $25,000 minimum equity level. Why can't I leave my $25,000 in my bank? The money must be in the brokerage account because that is where the trading and risk is occurring. These funds are required to support the risks associated with day-trading activities. It is important to note that the Securities Investor Protection Corporation (SIPC) may protect up to $500,000 for each customer's securities account, with a limitation of $250,000 in claims for cash. What is my day-trading buying power under the rules? You can trade up to four times your maintenance margin excess as of the close of business of the previous day. It is important to note that your firm may impose a higher minimum equity requirement or may restrict your trading to less than four times the day trader's maintenance margin excess. You should contact your brokerage firm to obtain more information on whether it imposes more stringent margin requirements. What if I exceed my day-trading buying power? Then your brokerage firm will likely issue a day-trading margin call to you. You will have, at most, five business days to deposit funds to meet this day-trading margin call. Until the margin call is met, your day-trading account will be restricted to day-trading buying power of only two times maintenance margin excess based on your daily total trading commitment. If the day-trading margin call is not met by the fifth business day, the account will be further restricted to trading only on a cash-available basis for 90 days or until the call is met. Does this rule change apply to cash accounts? Day trading in a cash account is generally prohibited. Day trades can occur in a cash account only to the extent the trades do not violate the free-riding prohibition of Federal Reserve Board's Regulation T. In general, failing to pay for a security before you sell the security in a cash account violates the free-riding prohibition. If you free-ride, your broker is required to place a 90-day freeze on the account.